The fun part of buying a new door…! The last thing you’ll choose but the first thing people see! 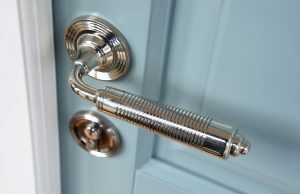 Yes, we’re talking ‘knobs and knockers’ (its ok to laugh, we do sometimes). 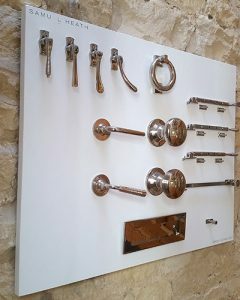 Knobs and knockers are functional and aesthetic. This is an opportunity to add to some style and flair to your door, so don’t be afraid to have fun with it! 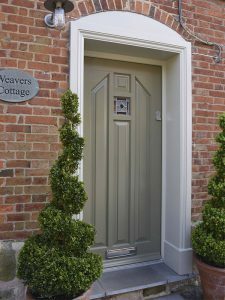 If you’ve not yet chosen a door then see our helpful guide HERE. 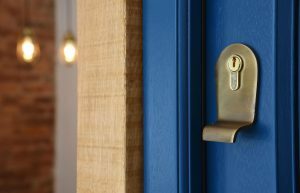 Positioning – Traditionally handles are positioned to one side of the door, but knobs provide the option of central positioning. 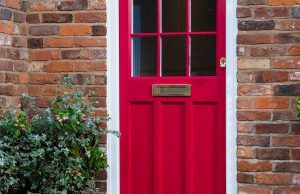 This may come down to personal taste, or your options may be limited if you choose to have a letterbox in the middle of your door for example. Comfort – Some people will prefer the motion of pushing down on a handle, whereas others will prefer twisting a knob. This again could be personal taste, or a certain type of movement may be better suited to you for dexterity reasons. 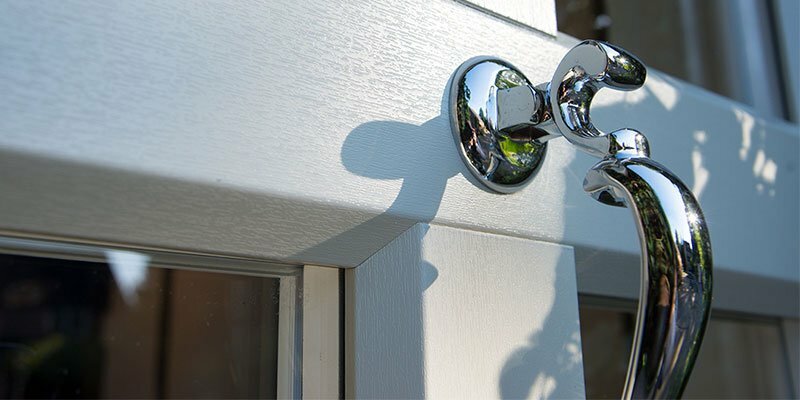 Style – Whether you opt for a handle or a knob, there will be numerous styles to choose from. 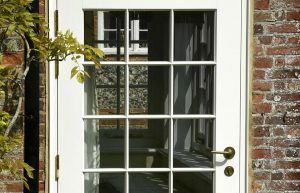 Consider what would be a good fit for your door and property to aid your decision making. Styles vary from contemporary to traditional and we can discuss all the options with you alongside working samples in our showroom. 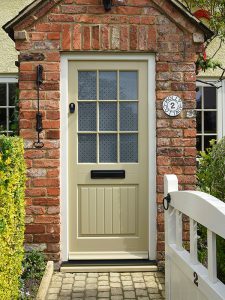 Positioning – If you opt for a letter box then again you will need to think about where to position it on the door. It could be placed centrally, or it could be positioned closer to the bottom. 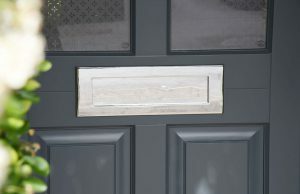 Type – Choose between a letter plate which opens inwards and allows post to be pushed through the door, or a letter flap which lifts outwards to reveal a hole which post can then be inserted through. Style – Your letter box can be as simple or as ornate as you’d like it. 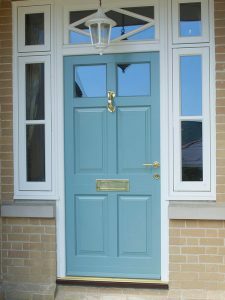 We have several styles, colours and finishes for you to choose from. 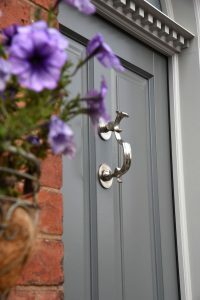 Added extras – Think about whether you’d like a knocker or any words/numerals adding to your letter box for added functionality or pizzazz. Definition – A piece of metal used for protection and ornamentation around a keyhole. 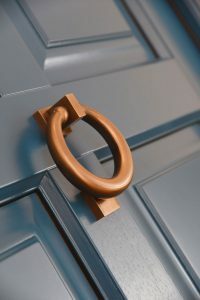 A ‘pull’ can be added to act as a mechanism for opening & closing your door. 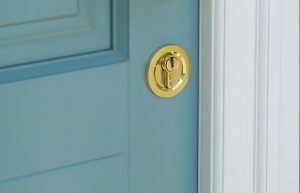 Type – Consider whether you want an escutcheon purely to act as a decorative cover or whether you want to use it as an opening mechanism. Style – Options range from ‘Antique Brass Unlacquered’ to ‘Polished Nickel’. 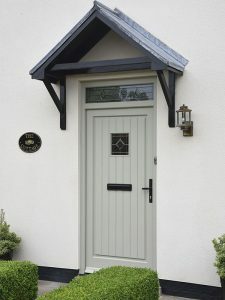 There are a wide variety of choices and we can discuss these with you at length to help you achieve the perfect fit for your door. 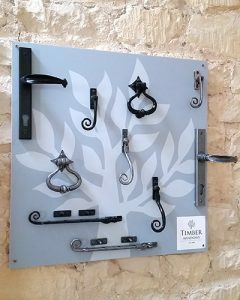 Type – There are a few types of knocker to choose from. ‘Doctor’ knockers, ‘Ring’ knockers or ”Urn’ knockers are just a few of the options available to you. 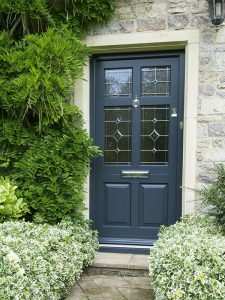 Style – As with all the furniture there are a multitude of colours and finishes available, from ‘Chrome Plated’ to ‘Antique Black’ you’re sure to find a look which is well suited to your door and property. More often than not your hinges won’t be externally visible. 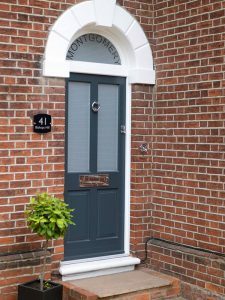 However if you choose to you can make them a feature of your door. 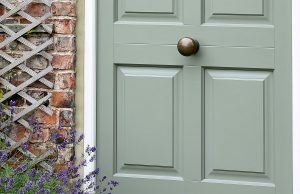 If you go down this route then it is advisable to ensure they match the rest of your door furniture in terms of colour and finish. We hope this list has provided some insight into the choices you’ll need to make. We recommend selecting a particular style and sticking with for the various pieces of furniture to create a cohesive look. Polished Brass door handle, letter plate, ‘doctor’ door knocker and decorative escutcheon. Polished Chrome ‘ring’ door knocker, large letter plate and functional escutcheon. Black letter plate and functional escutcheon. Chrome letter plate, ‘urn’ door knocker and functional escutcheon. Polished Chrome letter plate and functional escutcheon. Antique Black door handle with black letter plate. We stock a variety of ranges including Samuel Heath for you to browse and test in our showroom. Our friendly experts will be on hand to discuss all the options with you. Visit our extensive stone barn showroom Monday – Thursday 9-5, Fridays 9-4.30 and Saturdays 9-1. If you have a question please don’t hesitate to get in touch.